April 5, 2019 We’ve gotten another indication that Watch Dogs 3 is going to London. It’s becoming clearer and clearer that the third Watch Dogs title will take the hacking-focused open world series to London. 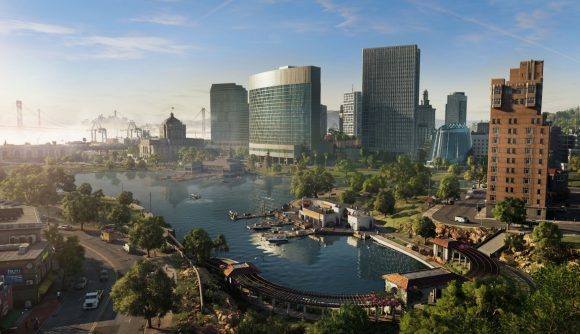 A rumour that began on 4Chan has at least some accurate information in it, and as with hints we’ve seen already, it says Watch Dogs 3 is set in the United Kingdom’s capital. Kotaku’s Jason Schreier says rumours of the setting are accurate, both as part of a new report on the next Assassin’s Creed being about Vikings, and an older tweet alluding to the Watch Dogs 3 setting. According to the anonymous imageboard post, Watch Dogs 3 features a new character, and players can decide to be male or female. It claims the game uses more small arms and knives in combat, but overall has a heavier emphasis on hacking. The post also says that Watch Dogs 3 is due out this year, which contradicts speculation that the game is being developed for next-gen consoles – that would put the Watch Dogs 3 release date in 2020 at the earliest. You should take any details aside from the setting with caution, though – the post is also loaded with info on a Roman Assassin’s Creed, which directly contradicts what now seems certain about the next AC.